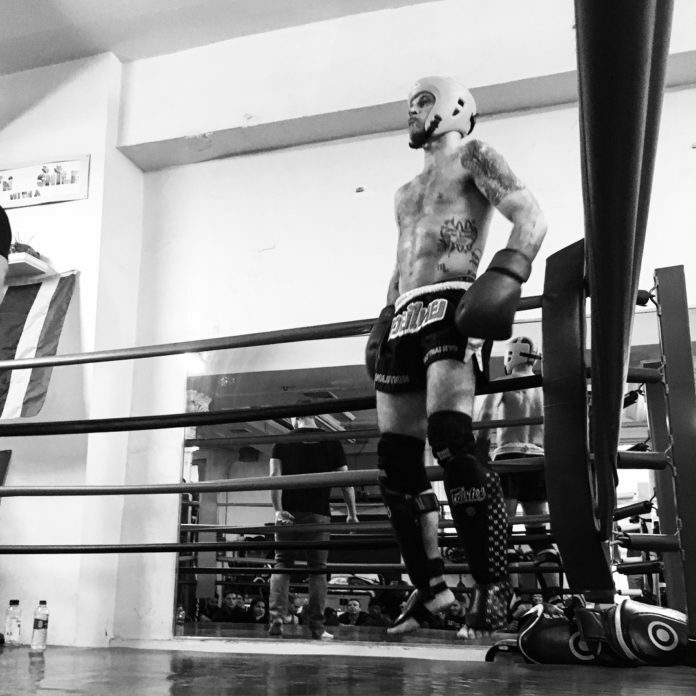 There are many misconceptions about Muay Thai and the types of people who practice it. It can easily be framed as a violent blood sport attracting a certain type of character. However, for me and many others, the “Art of Eight Limbs” is a discipline that can be respectfully practiced to build physical fitness and mental strength. British born actor, Jonny Lee Miller, would seem to agree. Miller, who stars as Sherlock Holmes in CBS popular crime drama Elementary, publicly shares his practice of Muay Thai. Rising to fame following his portrayal of Simon “Sick Boy” Williamson in the 1996 dark comedy drama Trainspotting, the highly acclaimed actor has also been recognised for his intellect, receiving Mensa’s IQ Award in 2014. On his social media, Miller is seen regularly training and sparring in the Thai martial art. Personally, I am often asked how I manage to train Muay Thai while also working as a model, where your face is your tool of the trade. Although there is always risk of injury in any combat sport, it can be practiced safely. Miller also seems to manage. In May, Miller stepped into the ring to fulfill his “childhood dream” and take part in an exhibition Muay Thai fight. The event was hosted by Chok Sabai Gym in New York City. The actor completed a five-week training camp in the lead up to the event. On his Instagram, Miller shared an action shot from his bout, landing a right cross ‘superman’ punch on his opponent’s chin. Miller trains Muay Thai and Brazilian Jiu Jitsu at Evolution Muay Thai in New York City. Former world heavyweight champion, Nathan Corbett held his Carnage Striking seminar there late last year.